Amazon has certainly come out with an abundance of new Alexa-controlled devices and accessories these past few months, but the Echo Wall Clock must be one of the e-commerce giant’s quirkiest, most original pieces of hardware yet. Unfortunately, the $30 Echo companion neatly disguised as a good old fashioned analog clock didn’t exactly... work so well for quite a few early adopters. That’s obvious from the sub-par 3.3-star product rating average based on 453 reviews at the time of this writing, many of which highlighted pretty serious connectivity problems as the main cause of user dissatisfaction. For what it’s worth, Amazon is (finally) on the case, halting Echo Wall Clock sales until “issues with connectivity” reported by a “small number of customers” can be addressed. In a statement issued to The Verge, the company estimated availability should be rebooted in the “coming weeks”, although it’s not entirely clear what’s causing certain Wall Clock units to randomly disconnect or even refuse to connect to a nearby Echo smart speaker. 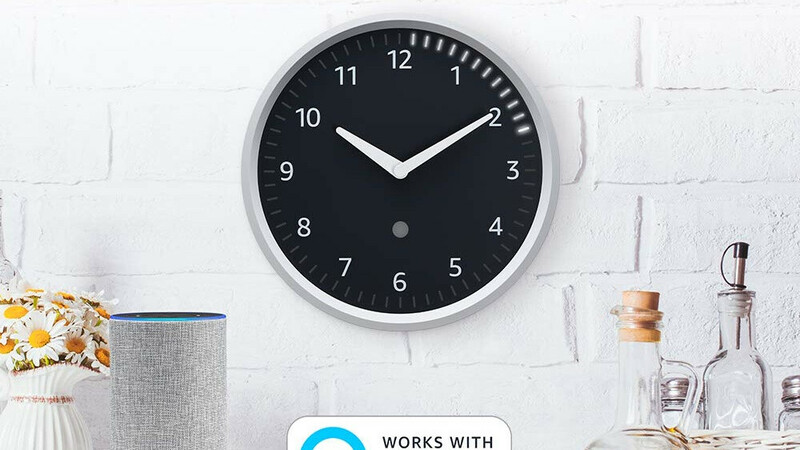 Compatible with everything from the “standard” Echo to the Echo Dot, Echo Show, Echo Plus, Echo Spot, and Echo Input, the Amazon Echo Wall Clock theoretically needs just four AA batteries and one of the aforementioned devices in a range of 30 feet to show the time remaining for active timers, as well as the actual time of day. Of course, in order to do that, the Echo Wall Clock uses Bluetooth and Wi-Fi technology to seamlessly pair with another Echo device, which for some reason seems to be acting up. Let’s hope Amazon can get to the bottom of this unpleasant situation and indeed restart sales in no more than a few weeks, as well as improve the product's average customer rating.